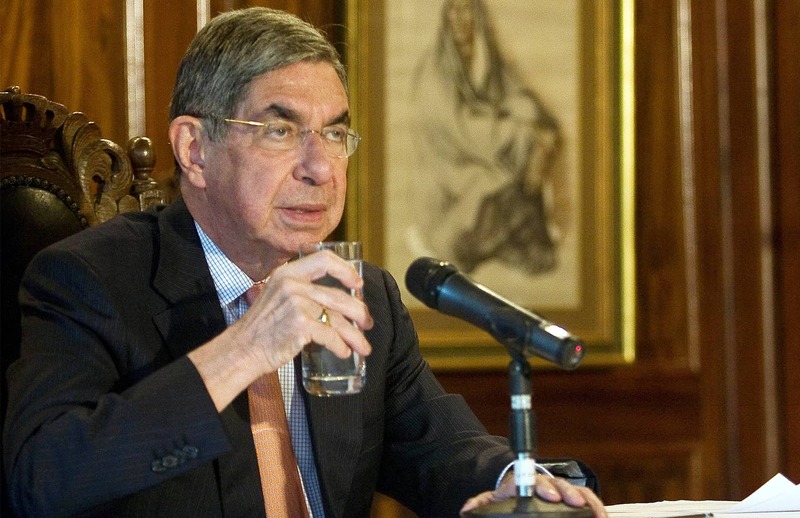 Costa Rica’s former President Óscar Arias Sánchez (1986-1990, 2006-2010) on Sunday underwent surgery on his right foot due to a ruptured tendon. The procedure was performed at the Clínica Bíblica, a private hospital in downtown San José, following advice from Arias’ personal physician. The ex-president and Nobel Peace Prize laureate said he has had recurring pain and discomfort for several weeks. Arias’ daughter, Silvia Arias, told members of the media on Sunday that the surgery began at 10:30 a.m. and lasted about two hours. The former president’s wife, Suzanne Fischel, and other relatives accompanied Arias to the hospital. The first medical report following surgery indicated that Arias is in good health. Arias, 73, was president of Costa Rica twice and won a Nobel Peace Prize in 2007 for his efforts to negotiate peace accords that ended decades of civil wars in Central America. VIDEO: Will the sloth sink or swim?